Wow trick-or-treaters and make sure your Halloween party is one for the books with these simple and fun treat ideas. You can even have the kids help out for some fun family time! Fall can be a crazy time of year. You have to start planning for not only Halloween, but Thanksgiving, Christmas, and New Year’s as well. Halloween is the first stop out of these celebrations and it can take just as much planning as trying to get your entire family in one place for Thanksgiving dinner. You have to help the kids or grandkids with their costumes, decorate the house, hand out candy, host a party, and even try find time to snap a photo or two during all of the chaos. Luckily with OldTimeCandy.com you can save time and energy by buying your Halloween goodies online without leaving the house. Plus we’ve put together some awesome ways to use that candy to wow trick-or-treaters and party guests to make sure your Halloween is one for the books. 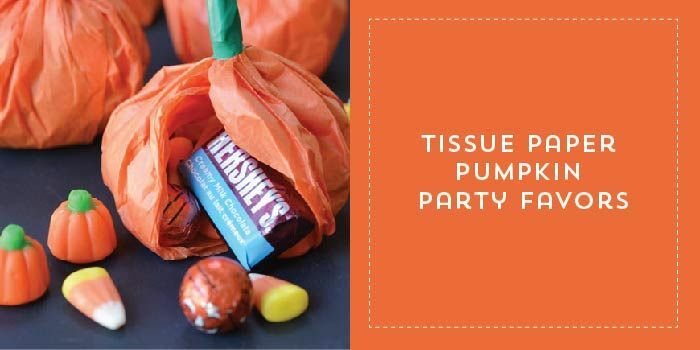 Use these cute Tissue Paper Pumpkin Party Favors to package your candy and make sure every child that reaches your door gets something they won’t get from any other house. Fill them with all your favorites such as Hershey’s Miniatures or any of candy from our Fall and Halloween Candy page. They not only look great on display, but trick-or-treaters will have fun unwrapping them to find out what’s inside. You can also use them as party favors to give to guests as they leave the party at the end of the night. 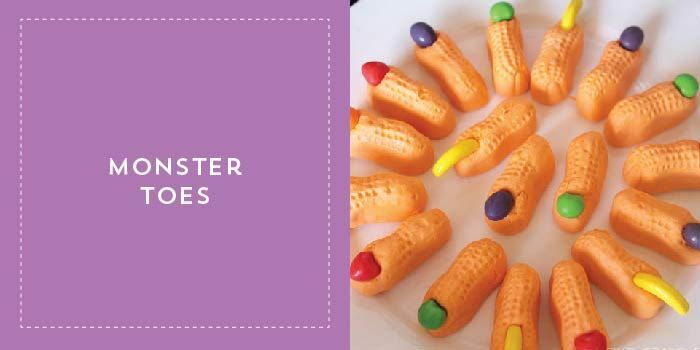 These Monster Toes made with Circus Peanuts and Runts will be a favorite at the snack table during your Halloween party. Just push a Runt candy into the end of each circus peanut and you’ve instantly got monster toes! This quick idea is great for kids and helps them feel like they are helping out with the party planning. Plus, they are pretty darn creepy! 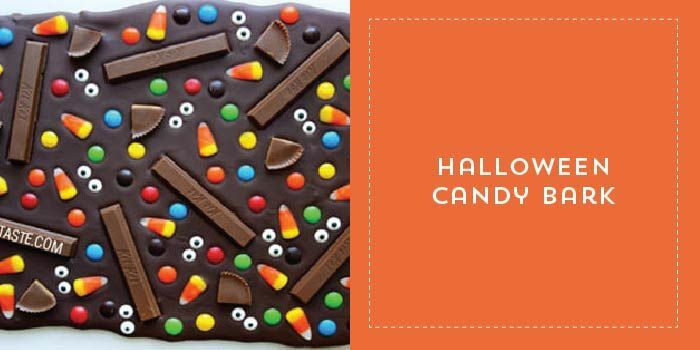 Melted Witch Bark will be an instant hit among children and adults at your Halloween Party. 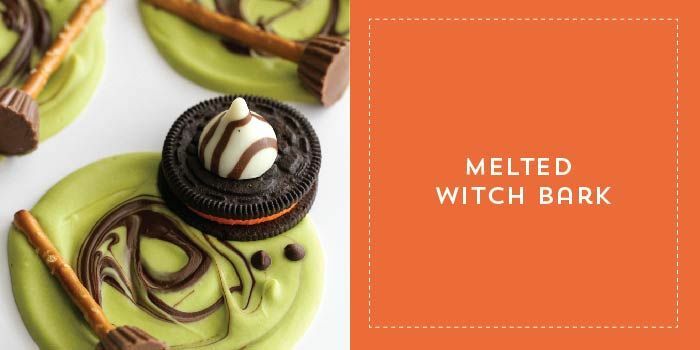 Use Mini Reese’s and Hershey Kisses to make the witch’s hat and broom and easily grab the rest of the ingredients while you’re doing your weekly shopping at the grocery store. Display them individually on Halloween-themed plates or on a tray. Either way your entire party will be quoting the Wicked Witch of the West all night long. 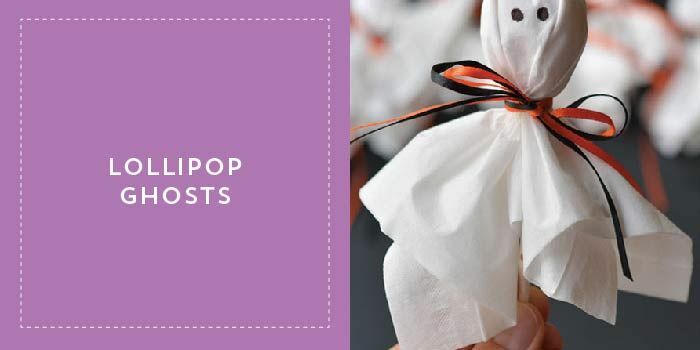 These simple Lollipop Ghosts are as fun to play with as they are to unwrap and eat. They are an inexpensive way to dress up any lollipops you may be planning to hand out on Halloween night such as Tootsie Roll Pops or Blow Pops. All you need are tissues, twine or string, and a black marker. Try assembling the ghosts and then and inviting your kids draw spooky faces on the treats. This Candy Bark is fun and versatile. Use your favorite candy such as Kit Kats, M&M’s, and Candy Corn to make a treat your family and friends can’t resist. You don’t need more than five minutes or even more than two ingredients to make this if you’re in a rush. This dessert is the perfect example of a fun holiday treat that doesn’t get crazy fussy. This sweet drink can be made for kids or adults and only requires a few ingredients. Just make sure to stock up on Fanta Orange Soda and whipped cream the next time you’re at the grocery store. 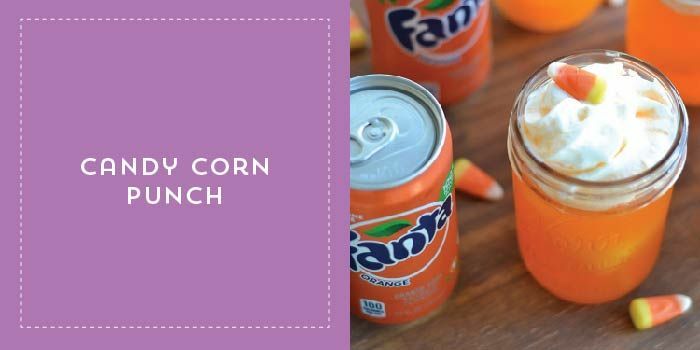 Use clear glasses for serving to show off the drink and top with some of our Candy Corn. Add a little vodka to the drink if serving for adults. Take your usual peanut butter cookies to the next level this Halloween with just a few extra ingredients. 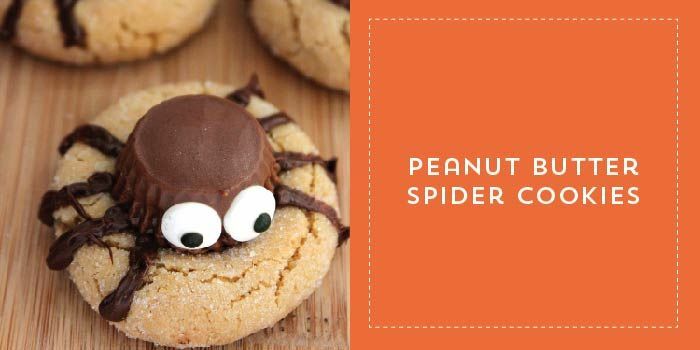 These Peanut Butter Spider cookies will become an instant favorite! Stock up on Mini Reese’s and M&M’s and just a few other items to have everything you need. Try using different colored M&M’s to give the spiders even spookier eyes. Now you have all the tools and candy you need to have a one-of-a-kind and tasty Halloween! So bring your family into the kitchen and create something everyone can enjoy. If you make something awesome we’d love to see it. Share your photos with us on social media.